KICC managing director Nana Gecaga says she would have been an Olympic achiever were it not for alcoholism while in university. Speaking to Kiss FM’s Adelle Onyango, she said she dreamt of becoming an athlete but her hopes were shut down before they materialised. “The person you see here today has had many lives before who I am today. My passion was actually sports. I was a very big athlete back in the day, and I actually qualified for the ’96 Olympics. Gecaga has extensive experience in international marketing and tourism. She is credited with being partly responsible for Kenya’s successful bid to host the 2009 MTV Africa Music Awards. She has previously worked as the Head of Marketing at KICC. Following that, she was employed as Marketing and Special Programmes Advisor to the Cabinet Secretary, Kenya Ministry of Tourism. Effective 1 April 2016, Najib Balala, the Tourism Cabinet Secretary appointed Nana Gecaga as the acting Managing Director of the Kenyatta International Convention Centre (KICC), pending the selection of a substantive CEO. is nana gecaga married ? 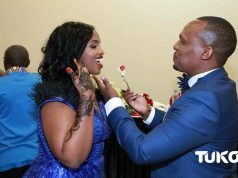 President Uhuru Kenyatta’s niece Nana Gecaga has opened up on her love life with a revelation that she is yet to meet a man who loves her genuinely at 40 years. In a candid interview with Business Daily, Nana dwelt on her career journey that has seen her climbing up the corporate ladder to become the CEO of Kenyatta International Convention Center (KICC). She also talked about her privileged background as the granddaughter to the founding father the late Mzee Jomo Kenyatta. But despite all these privileges, Nana has revealed that getting a genuine partner has been her biggest struggle in life, since most men are only interested in her status and networks. “I have struggled with relationships. I have had a couple of good relationships, but mostly it’s been difficult because the people have not been interested in me as a person. She was however quick to point out that that said, she wouldn’t have wanted to be born in a different family. “I don’t say I wish I was not born in a family like this, the love that they provide is undisputed. Like I said, I’ve got three beautiful children. I’m a single mother and I’m not dating or anything like that” she said. whois the father to Nana children ? 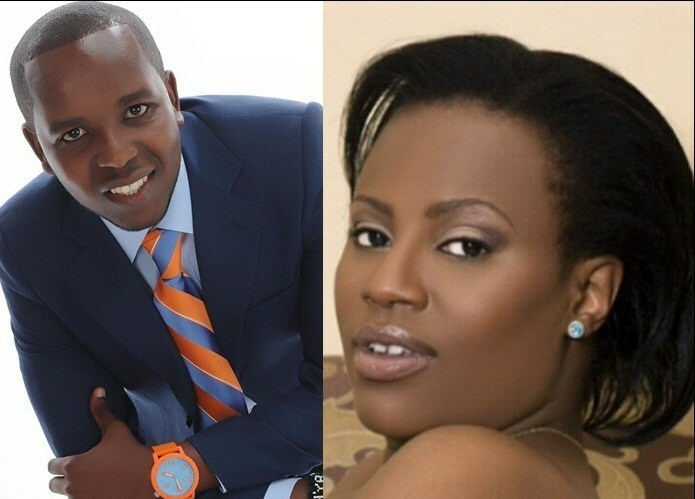 She has two children with Stephen Kariuki. One was born immediately after the 2013 elections and the other was born in 2015. Steven “K1” Kariuki is the son of Bishop Margaret Wanjiru, and an offspring of the late Jimmy Kamangu. A niece of President Uhuru Kenyatta, Nana Gecaga, has now imported a maid from United Kingdom whom she is paying Ksh 600,000 in salaries. 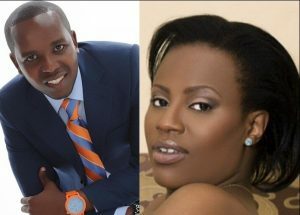 Nana, Jomo Gecaga’s sister, has a young baby and is living with the recently elected Mathare MP Steve Kariuki. So friends of the couple were recently overheard discussing the pay of the maid recently. 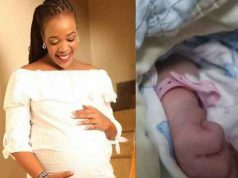 Close friends of the couple were surprised that Nana could import a British maid to come and teach her child manners, grammar and good etiquette when there are enough Kenyans who can work with the salary and do a better job.